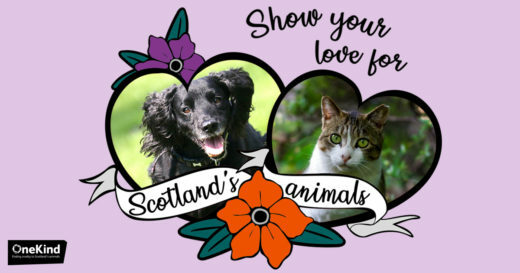 Show your love for Scotland’s animals! This month, it’s all about love. 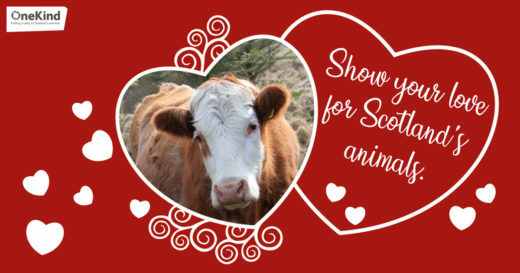 Throughout February we are asking you to show your love for Scotland’s animals. Whether it’s on shooting estates, in slaughterhouses or puppy farms… our supporters help us expose cruelty. And then we work around the clock until we win. We’re people powered, meaning all our investigations and campaigns are entirely funded by animal-lovers like you. There are lots of ways you can get involved and show your love for animals. We need to keep raising awareness, continue investigating and working hard to end animal cruelty in Scotland. As a result of ongoing investigations and hard work, supporters have already helped us achieve some great successes. You can really make a difference. Pledge your support for Scotland’s animals by signing up to receive our emails. We will keep you up to date with our campaigns and progress, you can help us petition the Scottish Government to deliver change and find out ways you can support our ongoing work. Throughout the month, we will keep you updated on our campaigns but also asking our supporters to get involved; sharing posts on social media, pictures of their pets or their favourite animals and joining the OneKind family, for example. We have a lot of work to do and the challenges are tough. That’s why we need you! 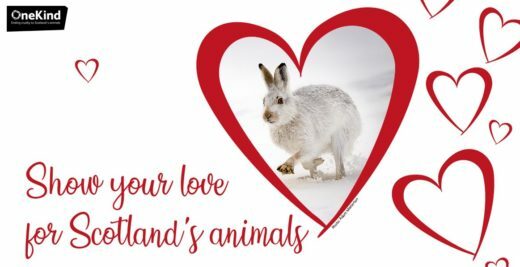 Let’s show Scotland’s animals our love and keep working hard to deliver the change they deserve. Every single supporter gives Scotland’s animals a louder voice.